We offer residential and commercial pest removal services in Livonia for over 30 years. If you are in need of yellow jacket removal services, carpenter ant removal, mice extermination, and more contact us today! pest concerns, it is critical to contact an experienced pest control removal company, who has the knowledge, equipment, and resources to eradicate your pest concerns. We use the most effective in safely exterminating pests from homes and businesses. Don’t wait, Erradicate pests today! Whether it stings, crawls, flies, bites, or destroys, our professional exterminators can solve it – including yellow jackets, mice, carpenter ants, wasps, and other stinging insects! We pride ourselves on doing the jobs those other guys can’t. We can also remove wasps and other stinging bees! Call a knowledgeable pest control exterminator today at 248-569-8001 to schedule your FREE INSPECTION! We know how to get rid Pests! There’s no place like home…unless you have a pest concern. Don’t risk the health of your family or the structure of your residence by ignoring the problem or attempting to use over-the-counter sprays and other at-home remedies, that don’t work! If a pest can be found in Michigan, we can eliminate it! Are You Looking for a Pest Control Company? Call Today for a Free Home Estimate! Your residence is one of your most valued assets, and taking the proper steps to ensure your family is safe from stinging insects, is our top priority. In addition to pests harming people, if not treated quickly and efficiently, can ruin the structure of your home and valued possessions. Once a home owner suspects a potential insect infestation, many home owners try and take care of the problem themselves, many times causing more damage in the long-term. Many of the over-the-counter bug treatments are not effective, as many bugs have become immune to their effects. Our technicians can safely eliminate your insect/pest problem! Offering the best warranty, is just the beginning. Contact our pest exterminators, with our service area near Livonia today, and let’s regain control of the safety and comfort of your home. Our experienced pest eradication technicians can assist any establishment or residence including hotels, restaurants, office buildings, churches, apartments and more! Over the past 30 years, we have seen everything from bed bugs, stinging bees, dangerous spiders, and rodents of all types. Taking preventative action to ensure the eradication of commercial pests such as yellow jackets, carpenter ants, mice, spiders, rodents, etc., you solidify the safety of your working environment. More importantly, the lack of attention to potential dangerous pest problems can cause long-term problems. The good news is that our pest control professionals are capable and ready to handle all your residential or commercial pest needs throughout Livonia. Whether you are worried about pest issues in your home or business, we can help! "I Would Definitely Recommend This Company!" "Very professional and knowledgeable i would definitely recommend this company to everyone who needs a pest control company"
Yellow Jacket Removal Services Livonia. Don’t allow yellow jackets cause you problems. Contact our yellow jacket removal experts near you today! Yellow jackets are ground nesting pests and are abundant throughout Livonia. Do you have a yellow jacket, wasp, or other stinging insect concern? 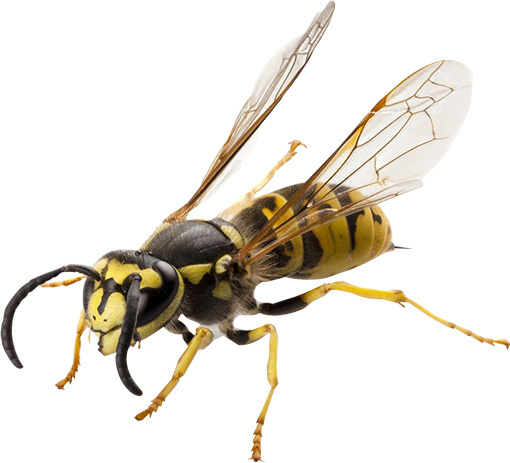 We can help you get rid of yellow jackets and wasps today! Although yellow jackets are commonly mistaken for bees, they are actually classified as wasps. No matter where yellow jacket have invaded your residence or business, we can help! These small wasps, often mistaken for bees, have a thin waist and elongated wings that span the length of the body. Yellow jackets typically nest in the ground and create their colonies below porches, in trees, and sidewalk cracks. When threatened, yellow jackets are able of stinging repeatedly and their sting is often painful. After the yellow jacket nest is identified, the problem can be solved in a few of ways. For aerial nests built in a structure such as a building, it is important that the entrance is not blocked until all of the yellow jackets are dead. Typically, this process is completed in the evening when most of the yellow jackets are inside of the nest. Our yellow jacket, wasp, and other stinging insect pest control experts will safely eradicate these pests! Once these wasps are dead, it is safe to remove the nest. Mice, often are mistaken as rats, are rodents that are commonly found hiding in Michigan homes and businesses. The most obvious difference between a mouse and a rat is size; rats are much bigger and darker in color than mice. One effective measure you can take to eradicate mice, is to seal all cracks, crevices, gaps, and holes that are larger than a pen cap. Do not use wood, because these pests can chew through it. Cleanliness is also a consideration with mice infestation. Be sure to cover all food in a glass or metal container with a tight lid, and also wash dishes after use. A major water source for these rodents is from scavenged food particles, keeping crumbs off of counter-tops can also help keep prevent a problem. However, if mice have already invaded your home, these preventative measures won’t help. If you are at this point, it is highly suggested that you call your pest control professional to remove the mice. Our experienced mice exterminators have specialized equipment and knowledge to eradicate your mice infestation. Call us today or schedule your free pest inspection and let’s remove the mice from your home or business for good! Michigan’s #1 Residential and Commercial Exterminator in Wayne, Macomb, and Oakland County! Providing over thirty-years of Integrated Pest Management (IPM) programs; a more proactive pest management approach. The IPM program focuses on ecosystem management; that is, we employ a combination of biological, chemical, cultural, and mechanical controls to deter these pests from attraction to your place of business. Click on the following links to learn more about our Commercial Pest Control Services or Integrated Pest Management. Whether it crawls, flies, bites, or destroys — no matter how in-depth your pest problem is, we can solve it! We pride ourselves on doing the jobs those other guys can’t do. Plus, with a 6-month money back guarantee and a free inspection, you have nothing to lose. 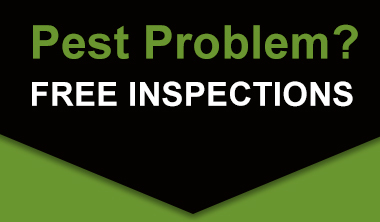 Call us today at 248-569-8001 to schedule your free inspection! Are You Searching for Ant Removal Services in Livonia? Don’t let ants such as damaging carpenter ants, cause you problems! There are many species of ants, however, carpenter ants are the primary invaders of homes and businesses. When found outdoors, they take residence near moisture, such as under stones. When found inside homes, they nest in damp areas, such as in roofing near leaking skylights or underneath siding. Oftentimes, these ants inhabit the areas that termites or other ants have frequented, as they commonly clean out the debris left from these problematic pests. Carpenter ants crawl into your residence through open holes, but they can also enter your residence or facility through the same opening that pipes and wires go through. They also walk on tree limbs that touch your home. Bits of foam on the ground outside of your residence is one sign of an ant problem. There are many ways you can prevent problems with ants. For example you can trim trees and shrubs that touch your house or building, and move firewood piles away from your home. However, if you have an ant infestation, it’s best that you let an experienced pest control and ant removal company handle this issue. Knowing that your concern will be resolved quickly and efficiently is what we do! How Do You Know if You’ve Been Bitten by a Bed Bug? Tips to Enjoying the Outdoors Without Bees! Could You Have an Infestation of Carpenter Ants ? Michigan Pest Control – Get Rid of Cockroaches! Carpenter Ants, Another Type of Pest! Don’t Let The Bedbugs Bite, Literally!